In the run-up to ShabbatUK, Rebbetzen Wollenberg organised a huge cross-communal Challah Make that saw around 250 people gather together from across the Redbridge area to perform the mitzvah of making Challah. This set the tone for a packed programme at Woodford Forest that included Friday night dinner featuring a speaker from the community, and a Shabbat day that included a children’s programme, a series of educational activities and the launch of a women’s Tefilla service group. Popular Jewish musical duo The Portnoy Brothers had the star turn as performers at the communal Havdalah. 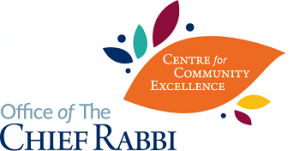 “The grant was to cover an educational programme in the local Jewish schools as well as a speaker for our community. We succeeded in bringing ShabbatUK spirit to a large and diverse section of our own and the wider Redbridge community”. “I really enjoyed the Challah Make as it was well organised and the atmosphere was marvellous. The Friday night meal was also very enjoyable, the food was good and the guest speaker was interesting. There was a good number of people for the Shabbat morning service with a wonderful Kiddush afterwards”. “It was lovely to see so many people attend the Challah Make and come together as a community”. “It was all very successful. The Challah Make attracted 250 people including many who wouldn’t otherwise be seen much in shul, so it was a great way of getting people together”. “The overall weekend was well organised and enjoyable. The Rabbi and Rebbetzin worked very hard to ensure all were catered for”. We presented a variety of aspects of Shabbat -from challah bakes, care packages, whatsapp broadcasts about keeping Shabbat beforehand to Friday night dinner for yjp/couples, to shabbat morning learning for ladies, kids programme, talks. Shabbat afternoon we had a cholent lunch. There were games in the afternoon for children, After Shabbat we had a lovely musical havdallah experience. The whole day allowed people to experience different aspects of Shabbat.